If you find a wild plum tree, make sure you take full advantage of its delicious fruit. I found a yellow plum tree a few years ago near my brother’s old house and made pots and pots of jam and put loads in the freezer too. 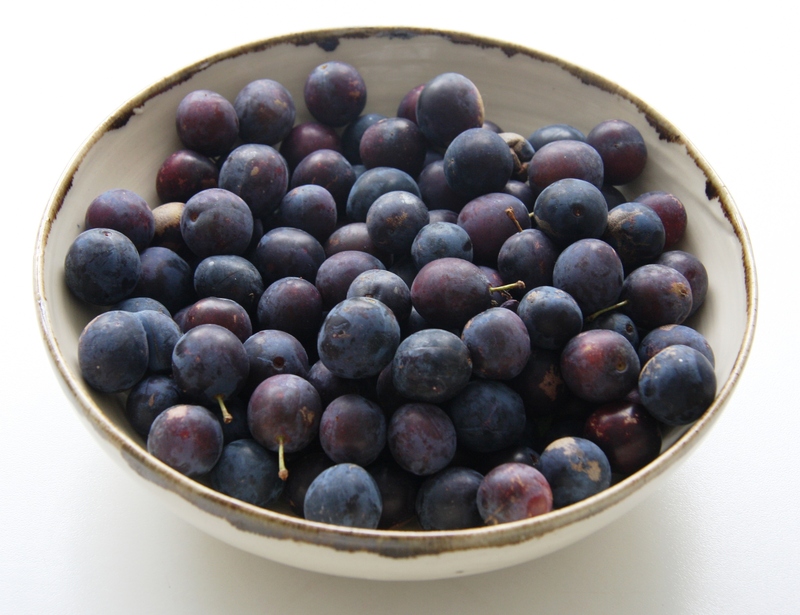 Unfortunately the following year I was too late for them, which was very disappointing, and now he has moved… Last year my friend Vana brought me kilos of a wild plum known as bullaces after a visit to her parents’, and I was also given some damsons. Now that we know where damson trees can be found we went foraging for them this weekend, in the hope of finding some ripe fruit. And despite a minor setback (the entire network of paths we were planning to use had been closed due to works) we managed to find some. They might need a bit of effort to reach but this just adds to their appeal. Scratches from brambles and stings from nettles just make them more of a prize. 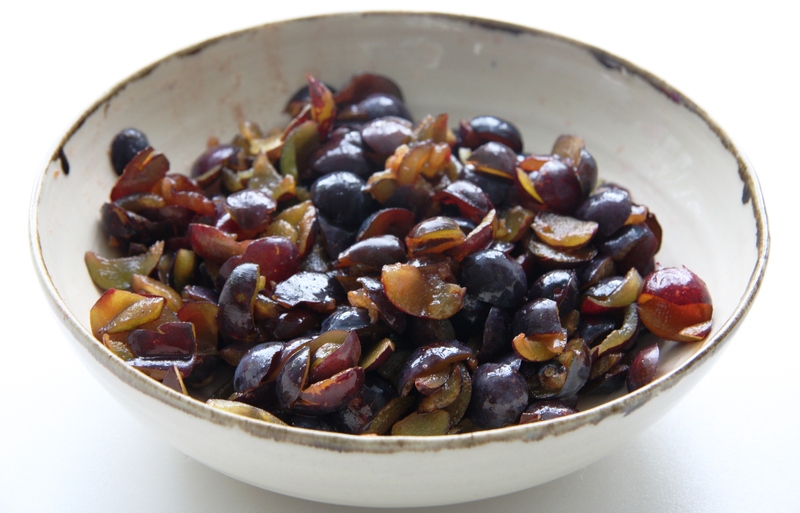 If you want your damsons to go further, or find them too strong on their own, you could combine them with apples or pears. 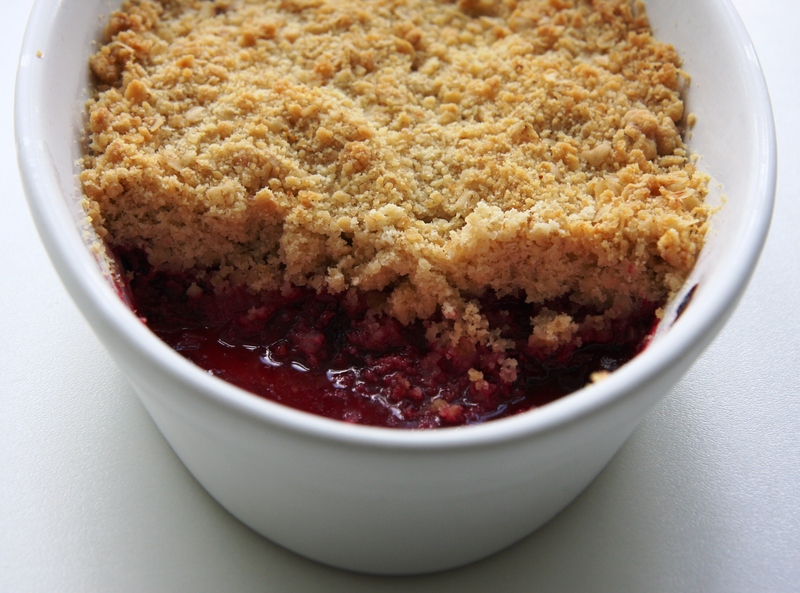 This recipe makes a small crumble as that was the amount of fruit I had, but it is easy to adjust the quantities to suit the amount of fruit you have. If you are using a large bowl then increase the quantity of topping to one and a half, or two times. 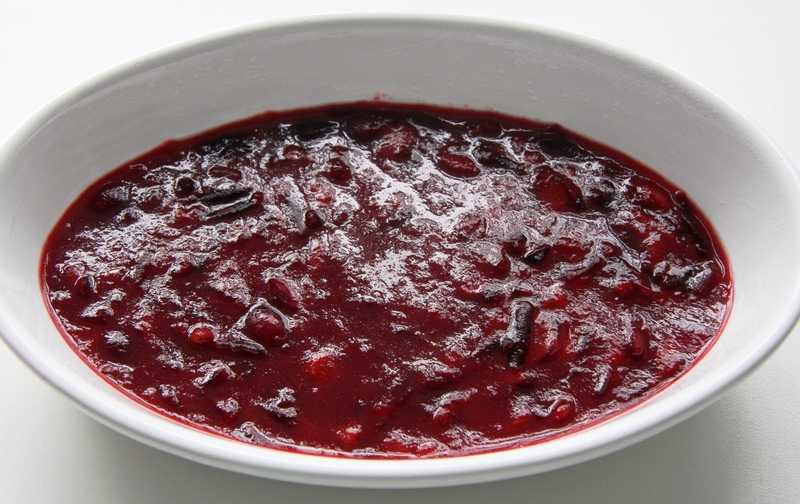 Put the damsons into a saucepan with the sugar, butter and a splash of water and heat for a few minutes until the fruit starts to soften and the juice starts to run. Test for sweetness and add extra sugar if the fruit is still too tart. 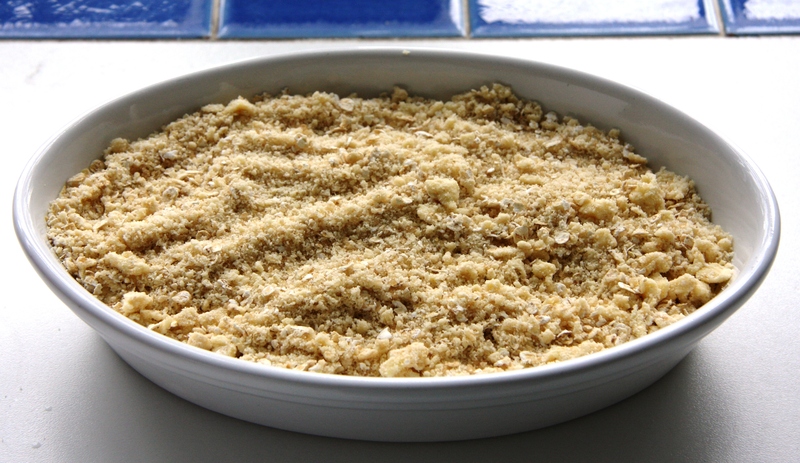 Put the flour, ground almonds, oats and sugar into a bowl and rub in the butter until the mixture resembles fine breadcrumbs. 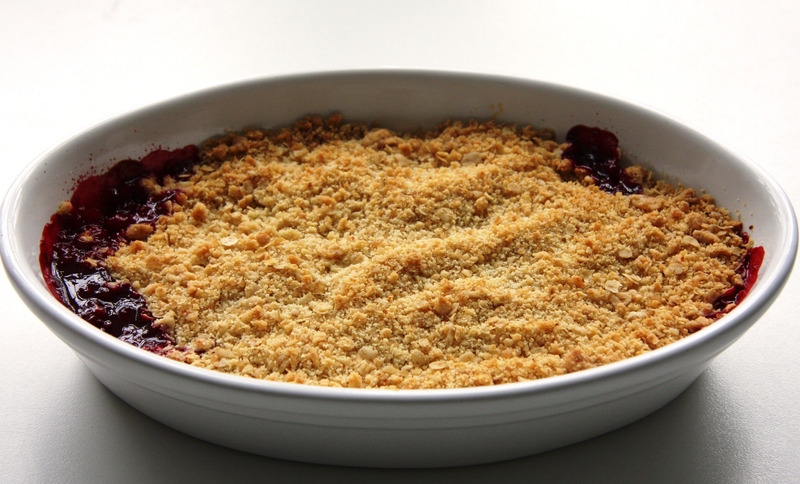 Tip the crumble mixture onto the filling and gently distribute it evenly. Do not press it down. Put the dish on a baking tray and bake for around 25-30 minutes, until the filling is bubbling up and the topping is well browned. Enjoy either on its own or with custard, cream, yogurt or ice cream: the choice is yours! That looks rather delicious and would happily sample. I remember when I was a child living in Germany, picking plums and apples and eating them fresh. I wish I had known about making jam then! How fortunate you are to have access to such delicious fruit. I remember blackberry picking expeditions too, such great memories. Thanks for sharing this recipe, I am currently working my way through some sand pears, and was actually just thinking about making a dessert with some of them. Hi, thank you very much for your comment and apologies for such a slow response. Hope you managed to make a dessert with your pears, that will have been delicious! I have been making blackberry and crab apple jam as I can’t believe how many crab apples there are and it seems such a shame to waste them! Oh, how delicious! I’d love to make crab apple jam! Where do these grow? I have heard of them, but never seen them. Are they like Mirabelles from France? 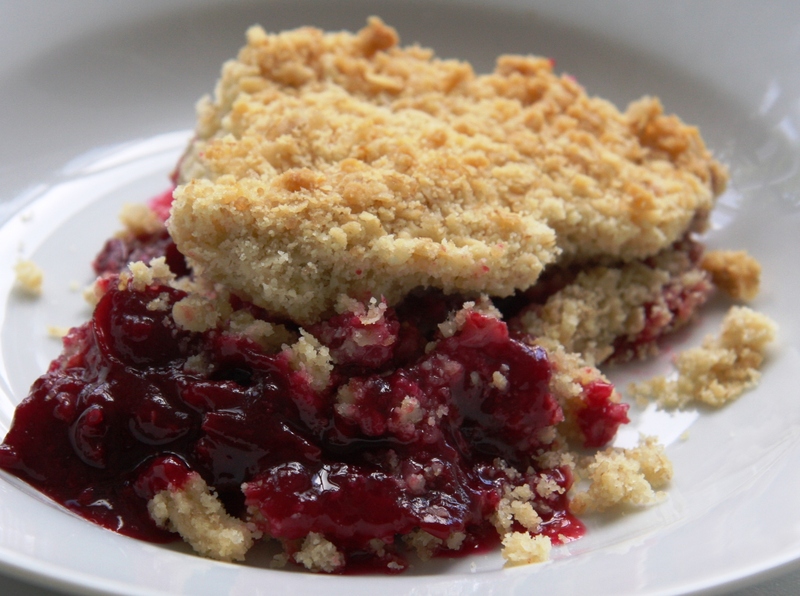 Love the crumble. Although I might have to add some ice cream…. Hi, yes you can – thanks for getting in touch!